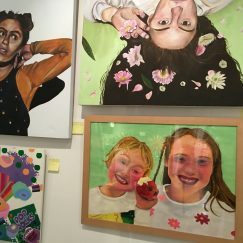 Our annual young arts schools exhibition at the Fylde Gallery, Lytham opened on 15 March 2018 and ran until 18 April 2018. 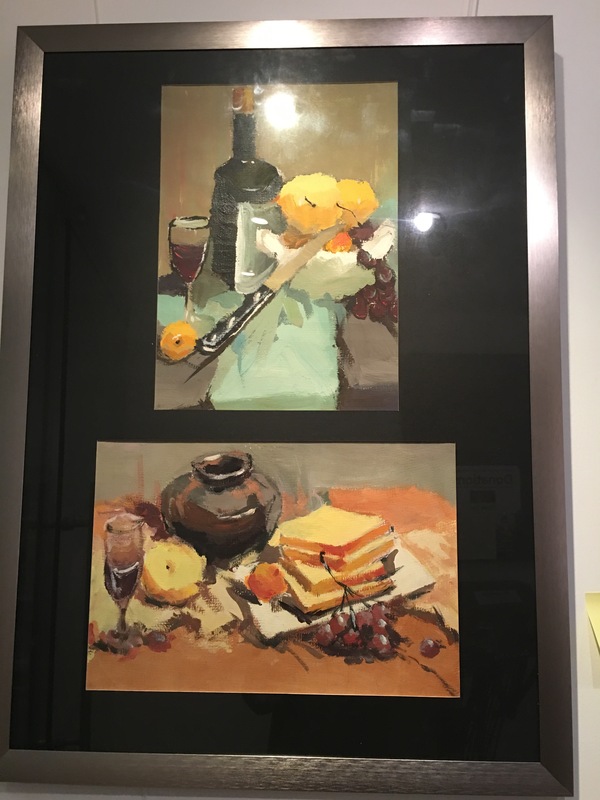 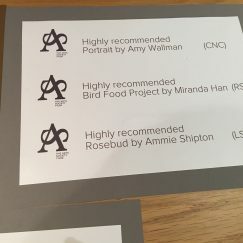 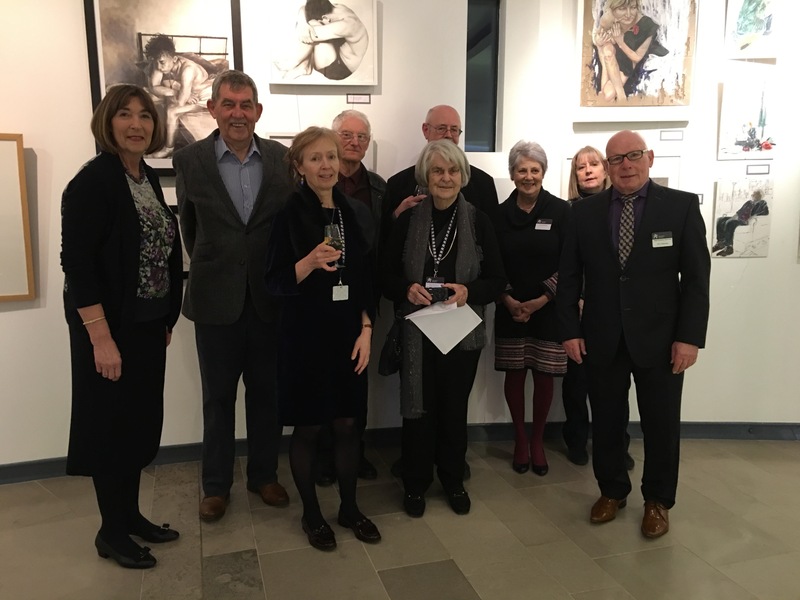 The exhibition is initiated from a National Competition offered by The Arts Society, working in conjunction with the Royal Society of British Artists (RBA). 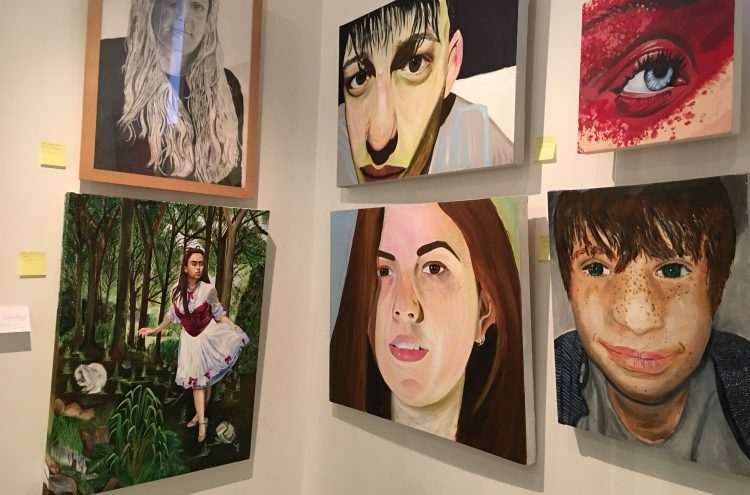 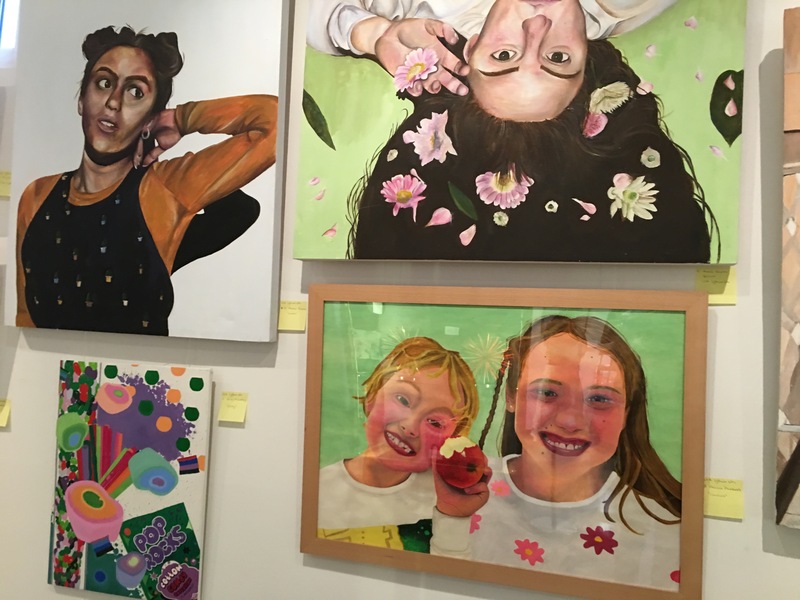 Twenty places are offered to A-Level Art Students to exhibit their artwork at the Annual Exhibition of British Artists at the Mall Galleries in London. 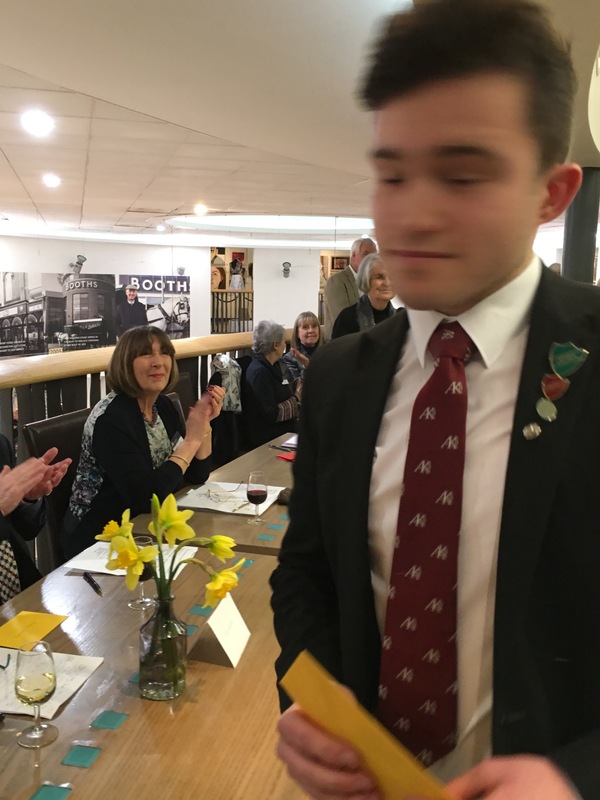 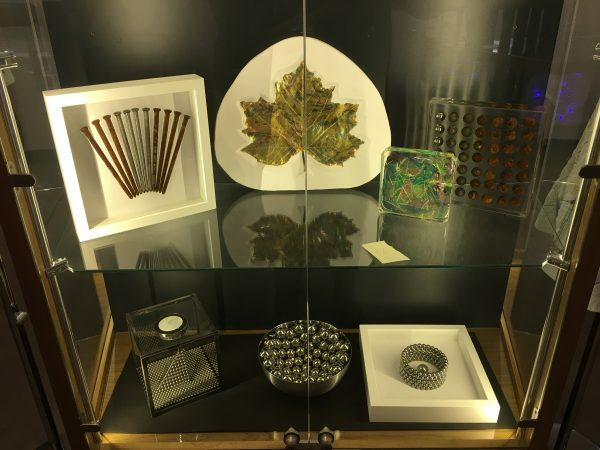 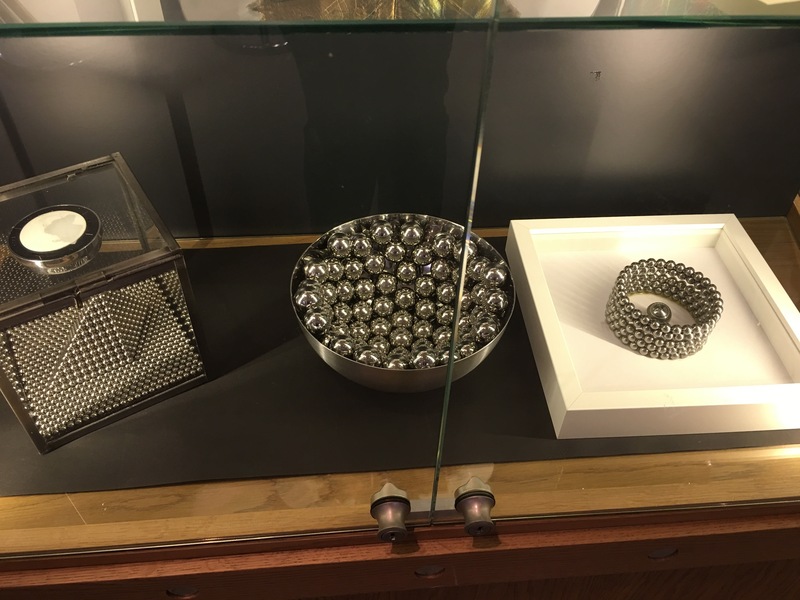 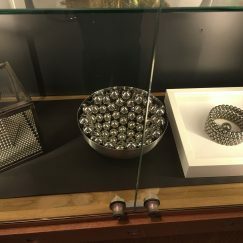 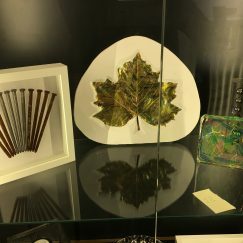 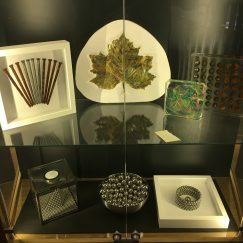 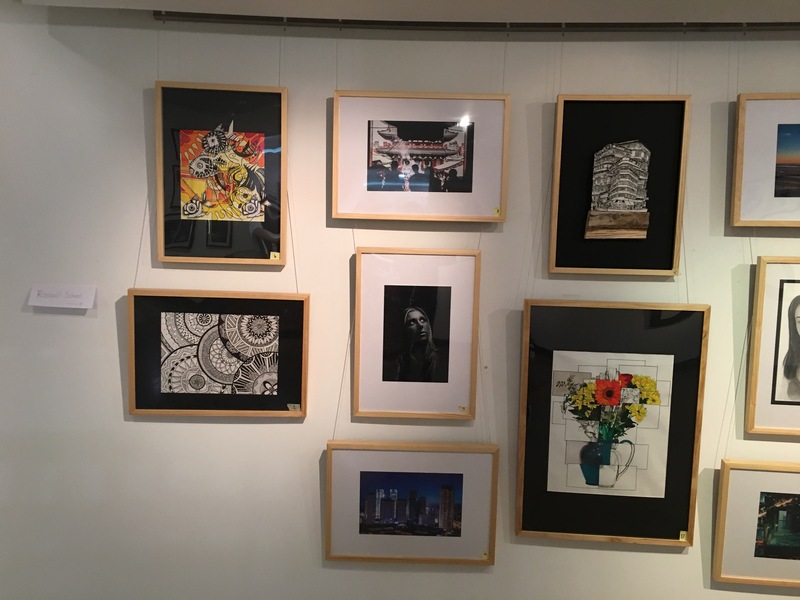 This year, we had two students who won these much coveted RBA places: Robert Mills, AKS, with his gold-glazed Cogs and Gears Ceramic Bowl and Martha Walmsley, Cardinal Newman College, Preston, with her machine embroidered wall hanging, further embellished with hand embroidery and jewels. 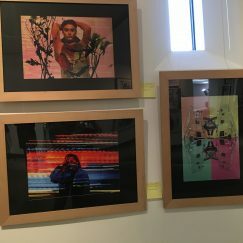 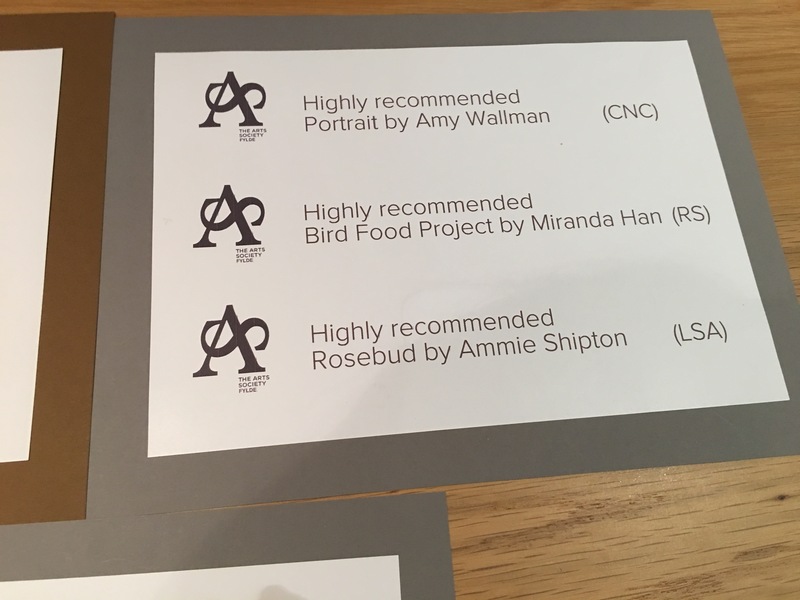 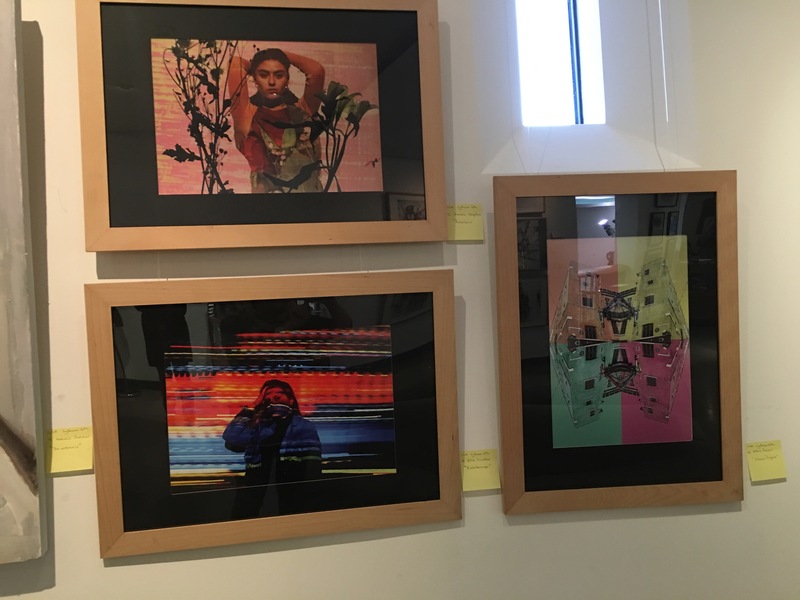 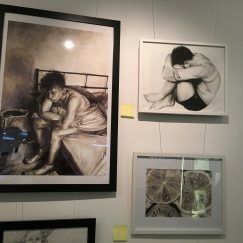 Both students were entitled to be called RBA Scholars for the duration of the Mall Gallery Exhibition. 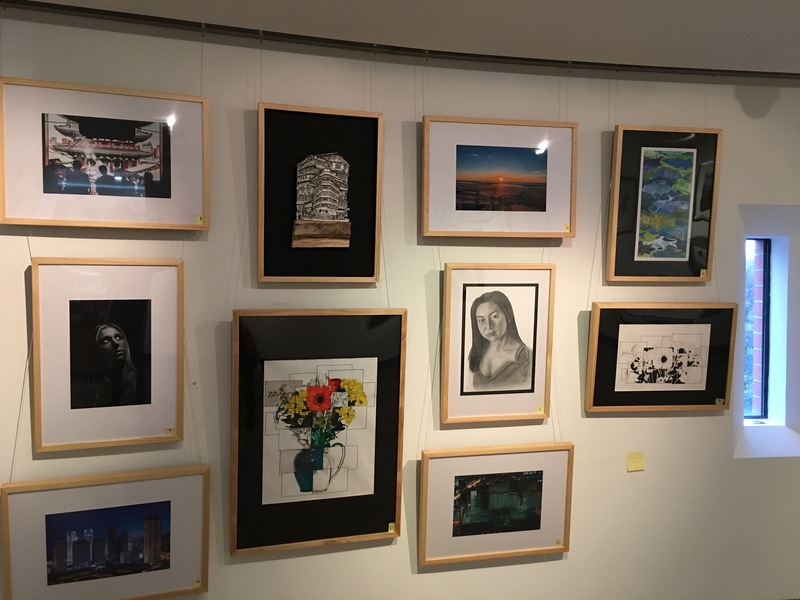 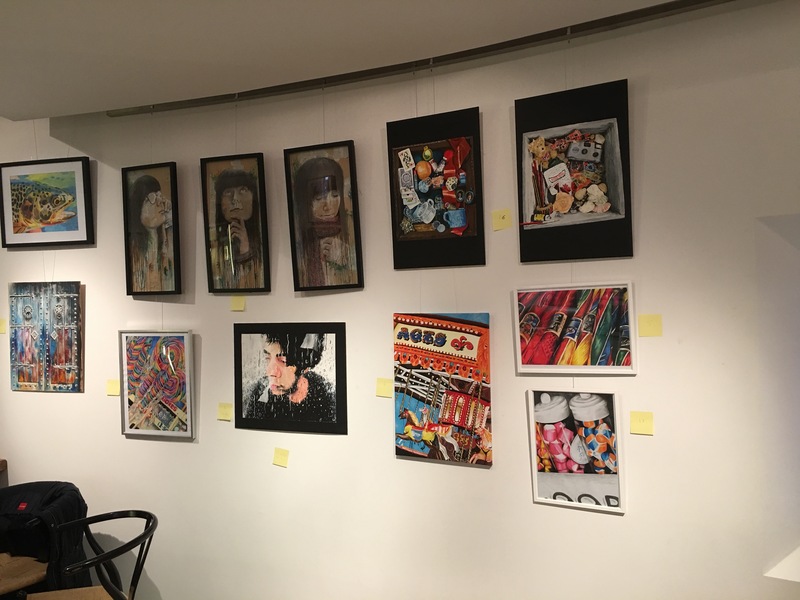 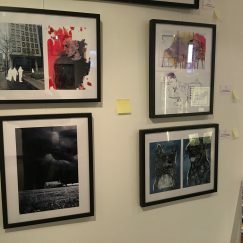 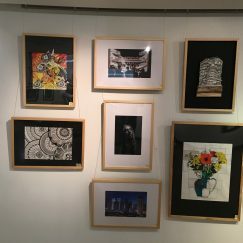 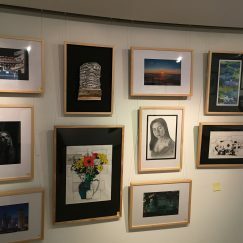 The Drawn From Youth exhibition included all these entries and also some further work completed throughout the year, involving high quality artwork from A-Level Art students within our Fylde Coast area. 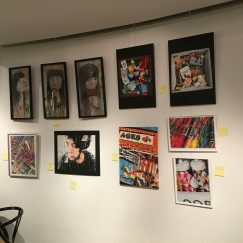 Seventy-two exhibits included paintings and drawing using a range of media, ceramics, numerous textile techniques, photography, graphic design, as well as 2D and 3D construction and installation. 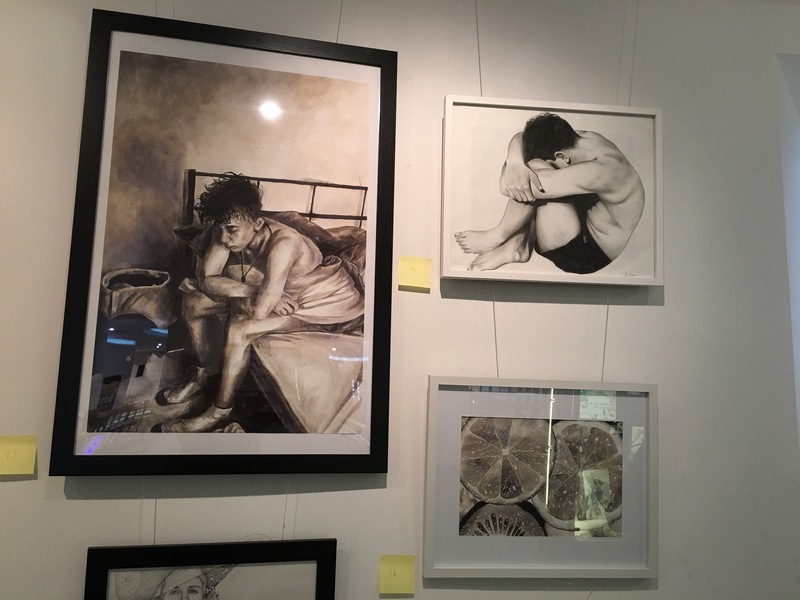 Katie Hampson: Previous RBA Scholar from Blackpool Sixth Form College in one of our first Drawn From Youth Exhibitions, 2012. 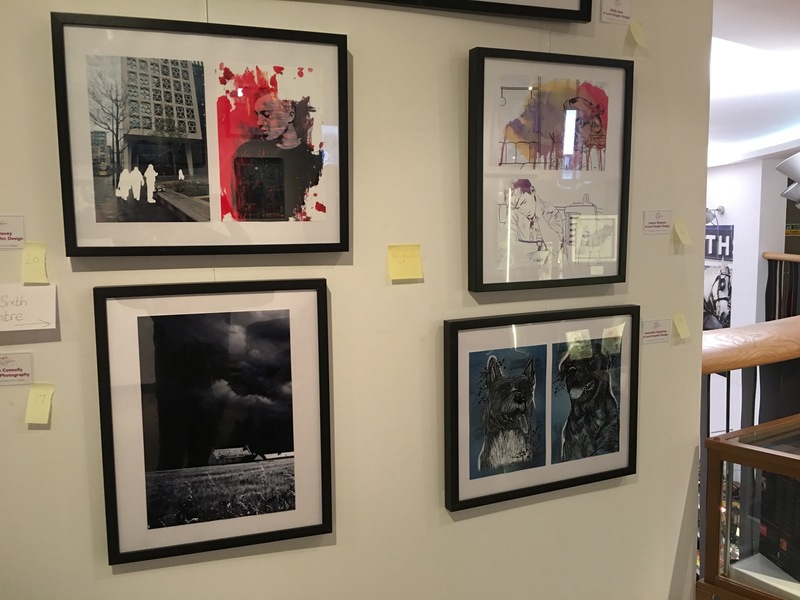 Katie gained a first class Honours Degree in Fine Arts from Bolton University and is now a highly successful artist working from her home town of Fleetwood, She specialises in abstract animal studies, including detailed ‘eye’ studies, contributing to medical research with regard to eye sight. 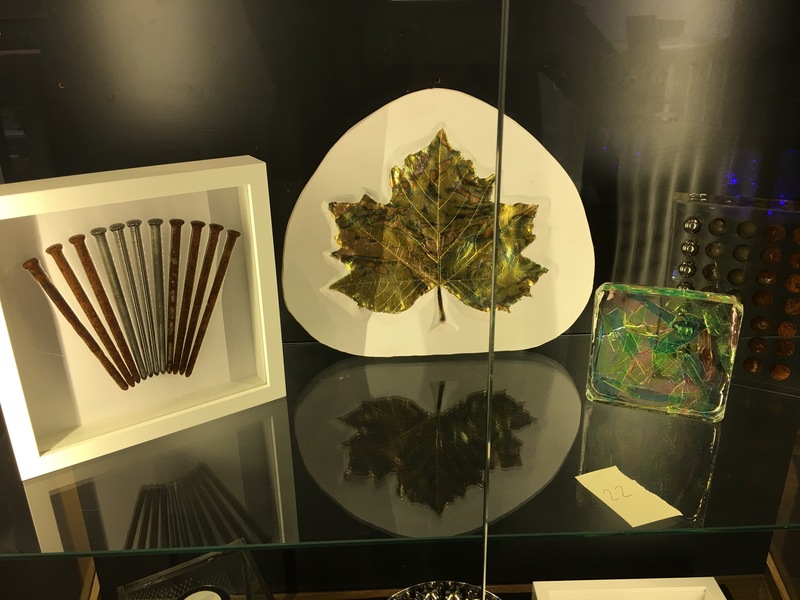 Our three Prize winners included: the first prize by Dominic Wylie, Blackpool Sixth Form College, showed a wide exploratory use of materials in 3-dimensional form. 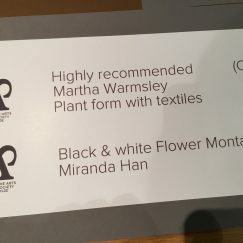 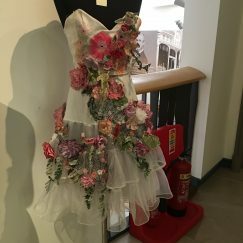 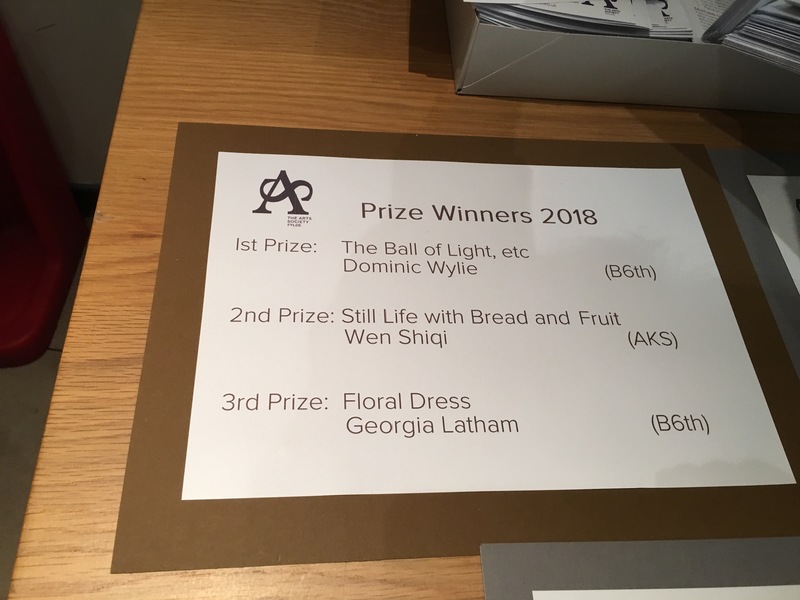 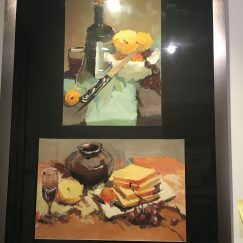 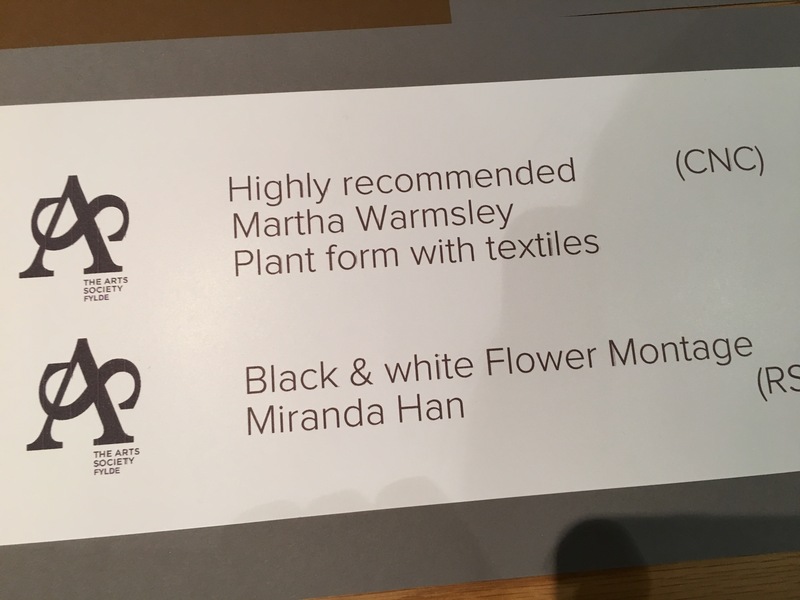 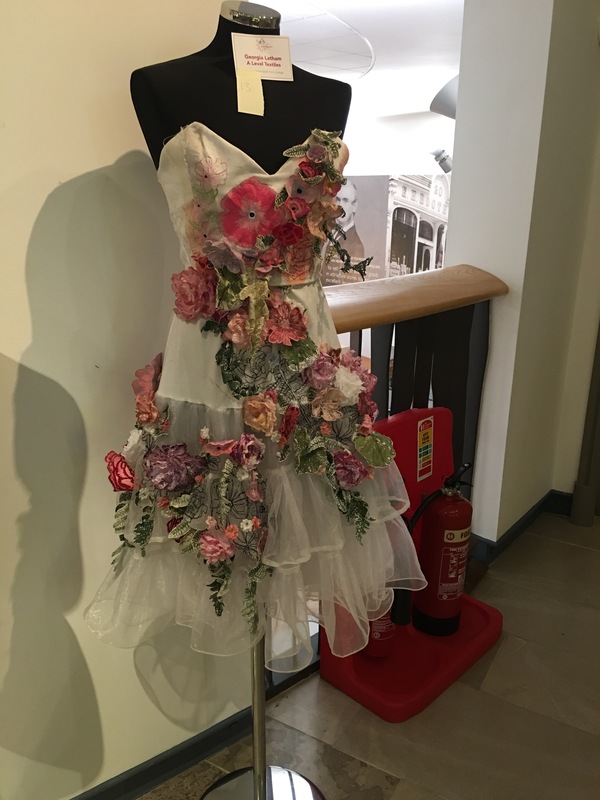 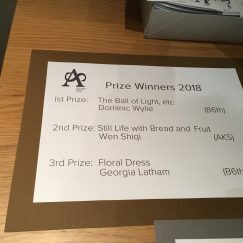 The second and third prizes were shared by Wen Shiqi, AKS, with a still life painting; and Georgia Latham, Blackpool Sixth Form College, with an exquisite floral dress. 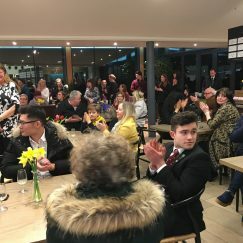 As in previous years, participating students were invited with their families to an Opening Preview event. 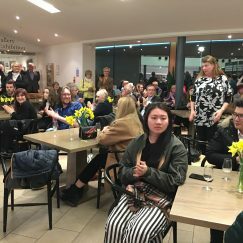 This included teaching staff from the schools and colleges, as well as special guests from The Arts Society and The Arts Society North West. 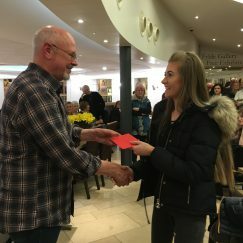 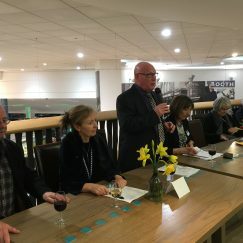 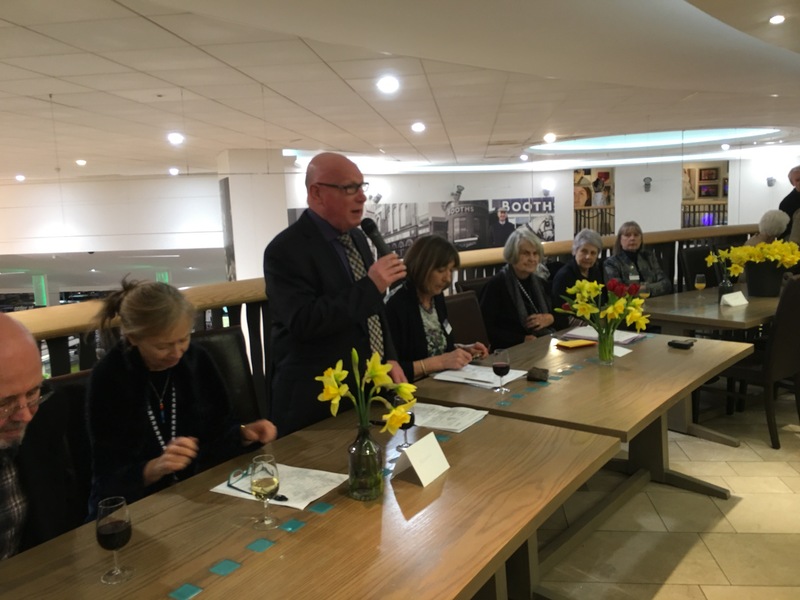 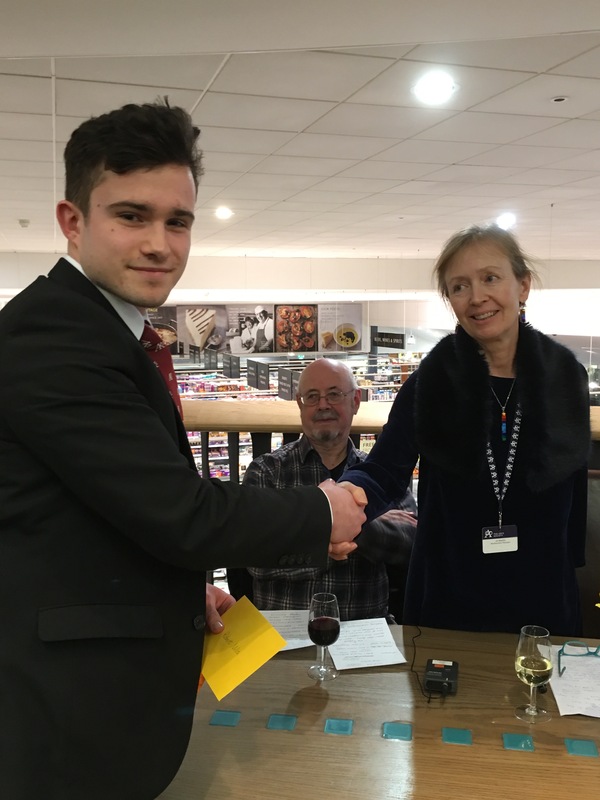 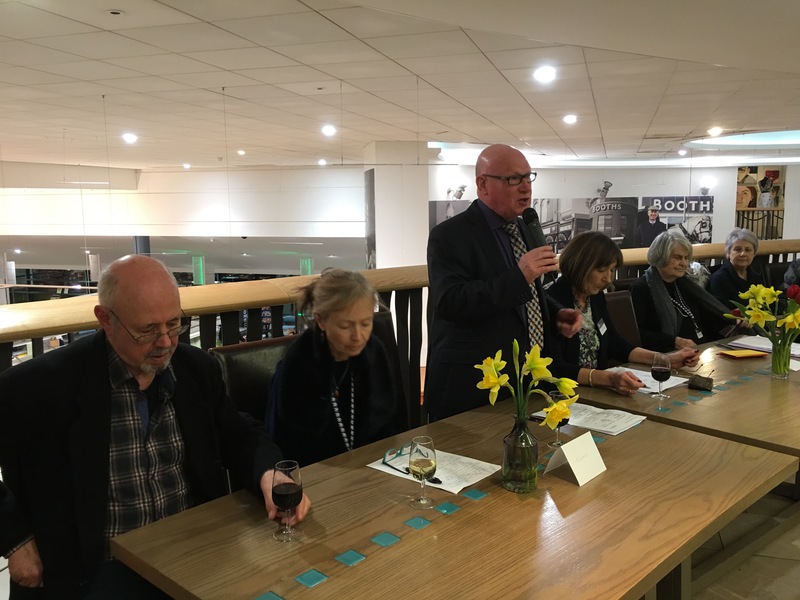 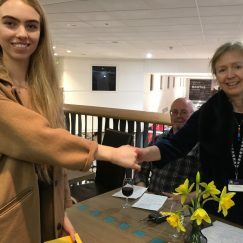 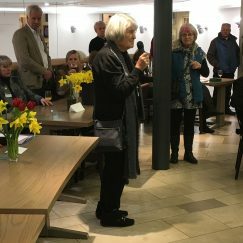 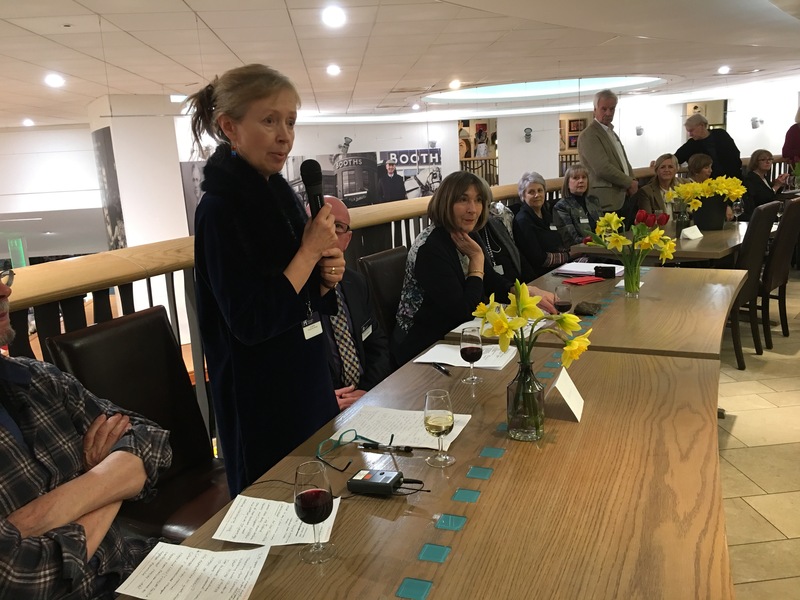 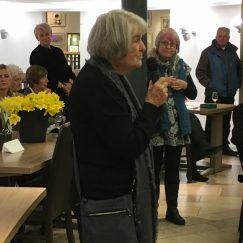 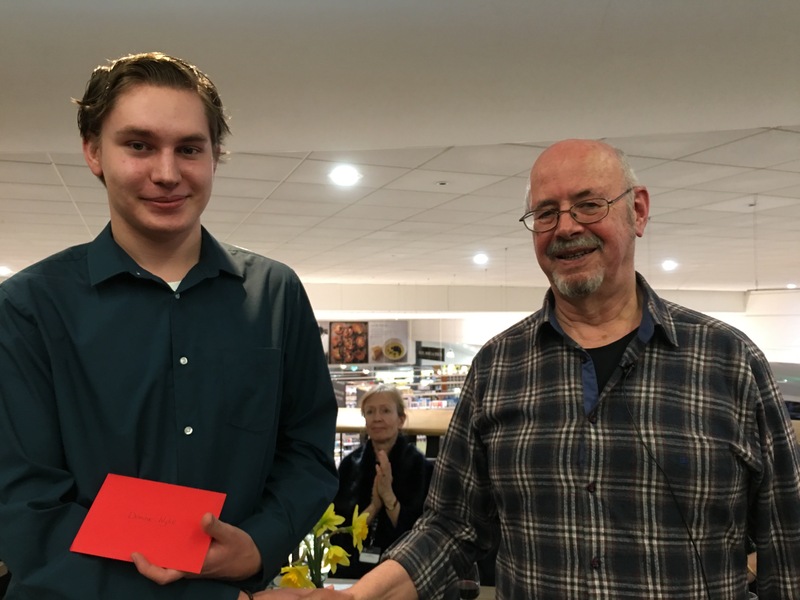 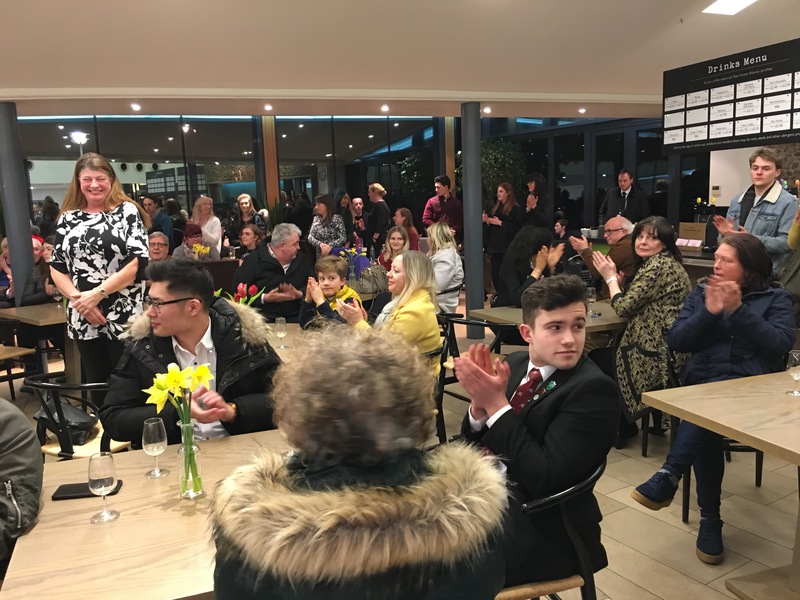 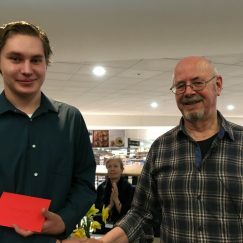 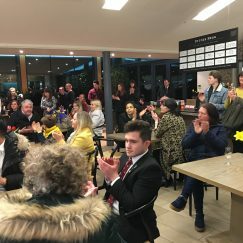 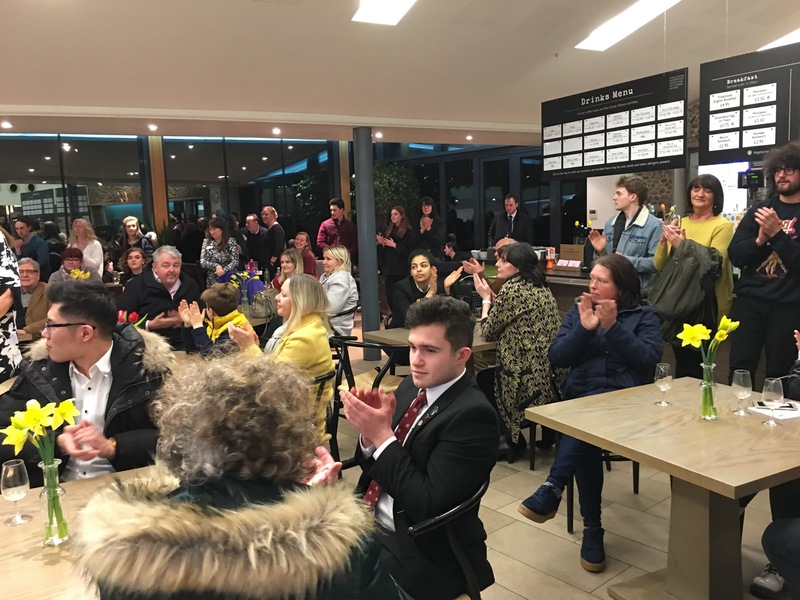 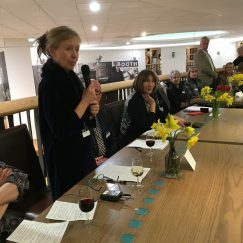 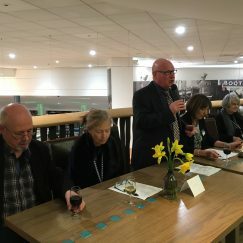 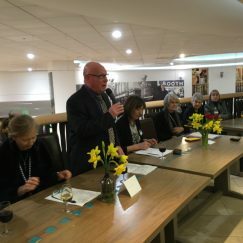 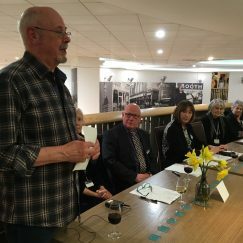 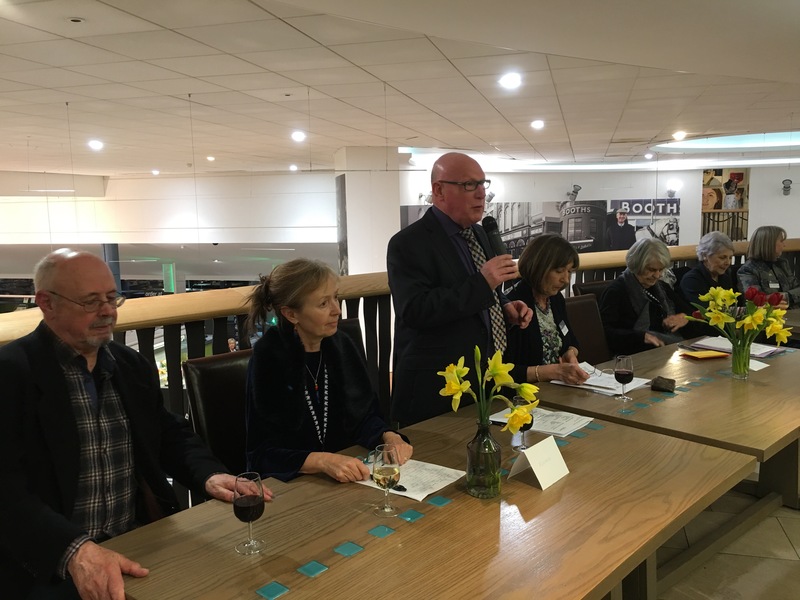 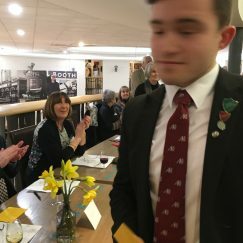 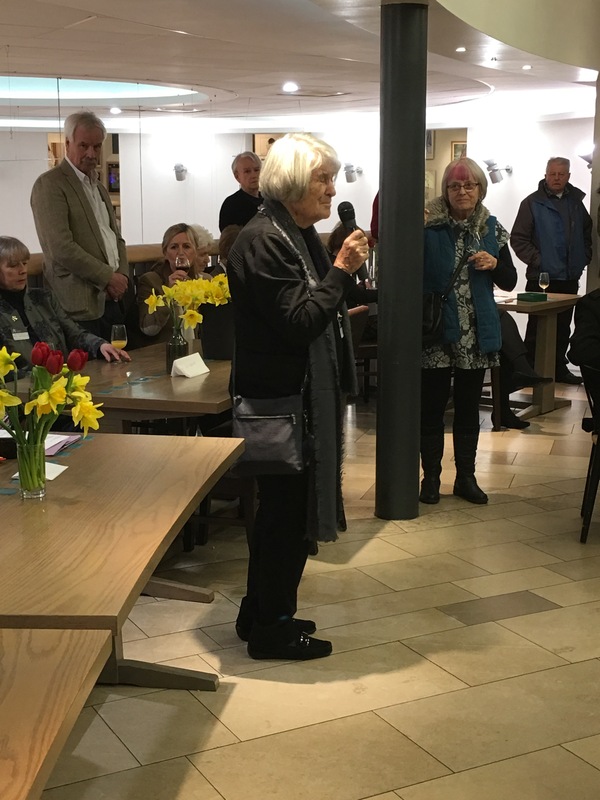 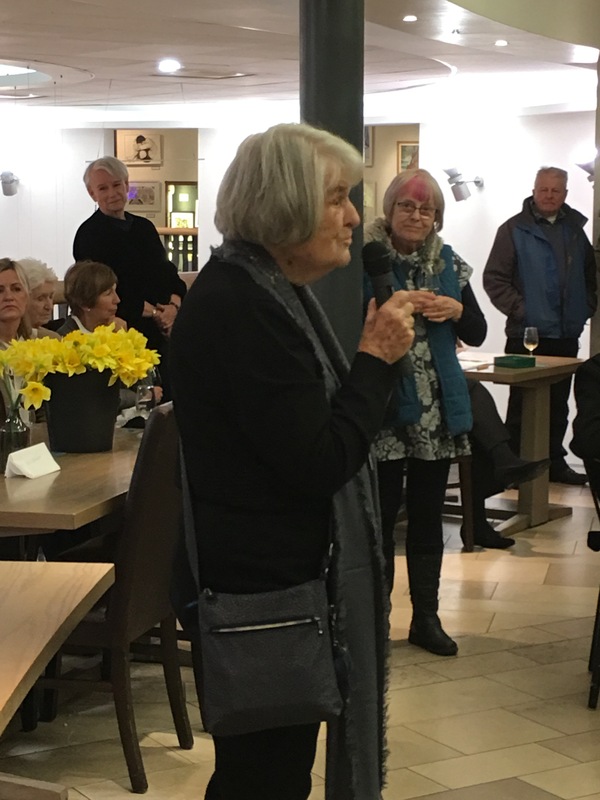 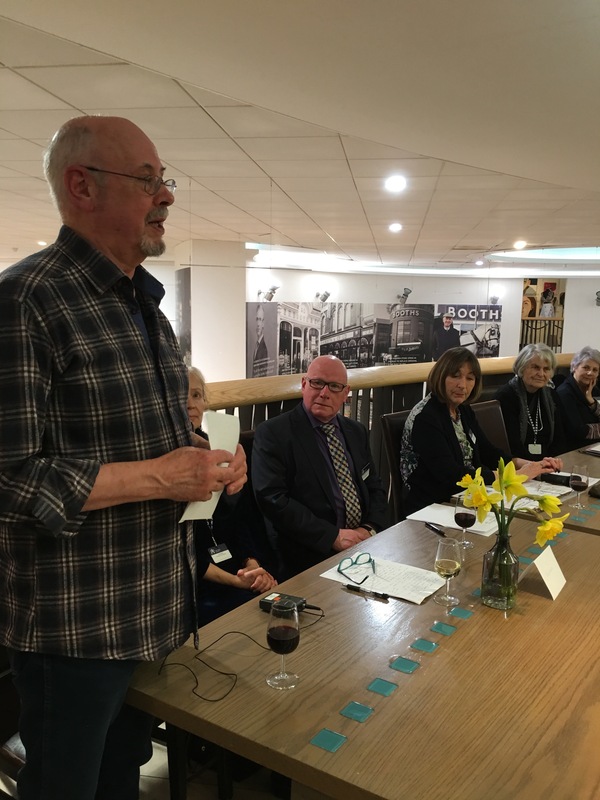 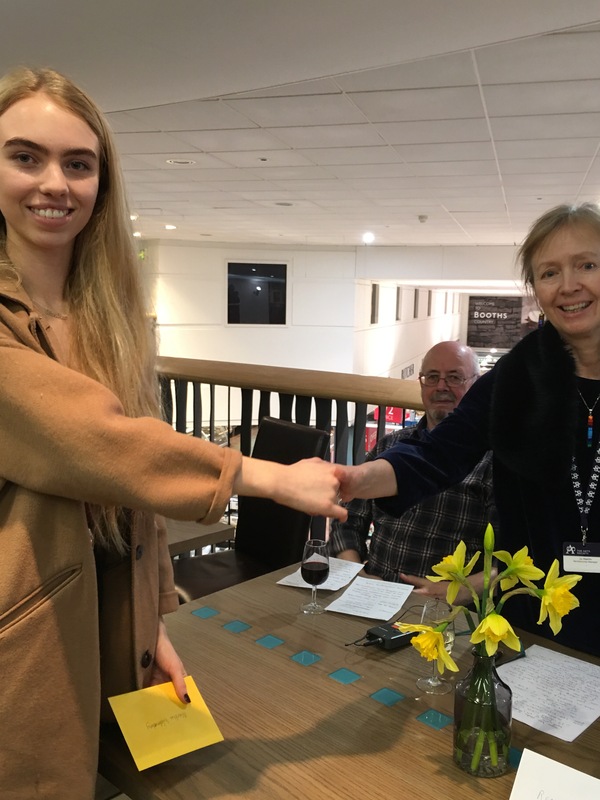 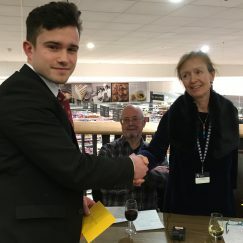 Two guest speakers, Joanne Martin, The Arts Society House, London, and Colin Binns, a retired Lecturer at the Department of Contemporary Art at the University of Central Lancashire (UCLAN), offered encouragement to the students and awarded a variety of prizes. 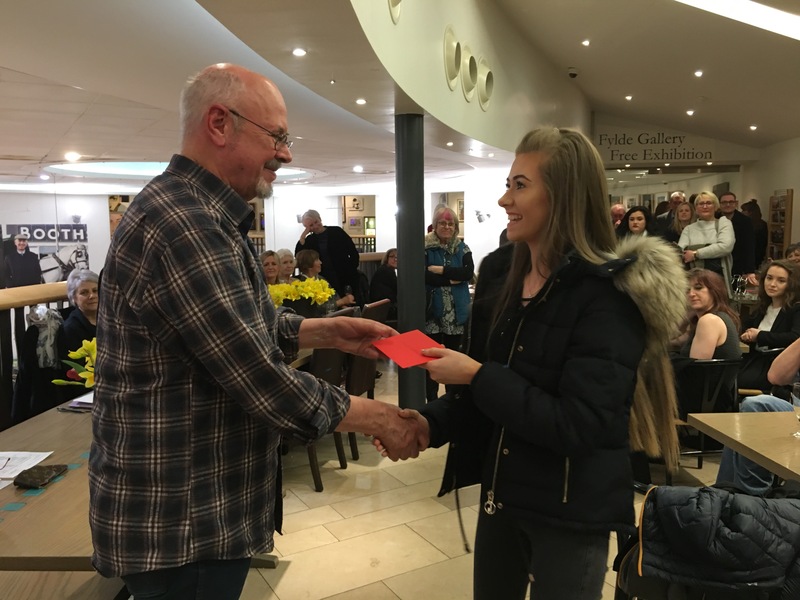 The Arts Society Fylde wish to thank all the teachers and technicians for the excellent display of their student’s artwork; for the many talented students involved; for our discerning panel of judges; and also, Fylde Borough Council for their generous use of Fylde Gallery at Booth’s Superstore in Lytham. 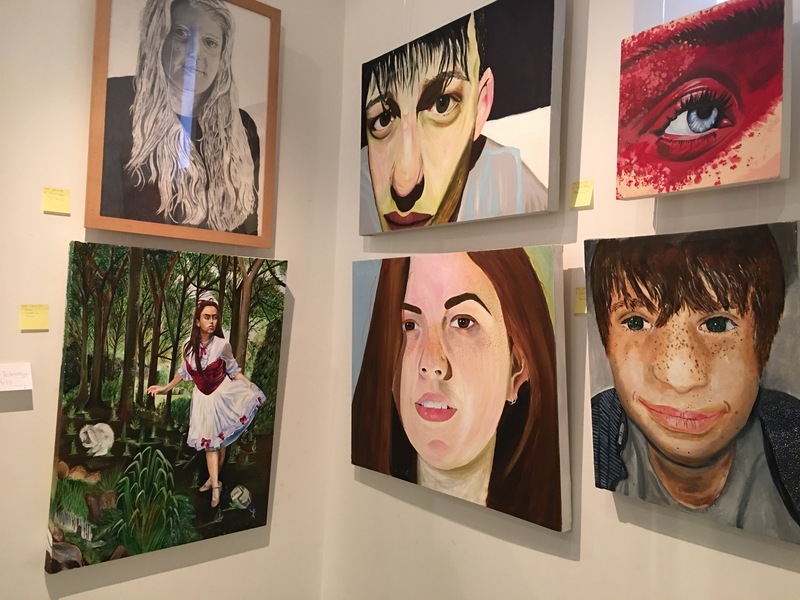 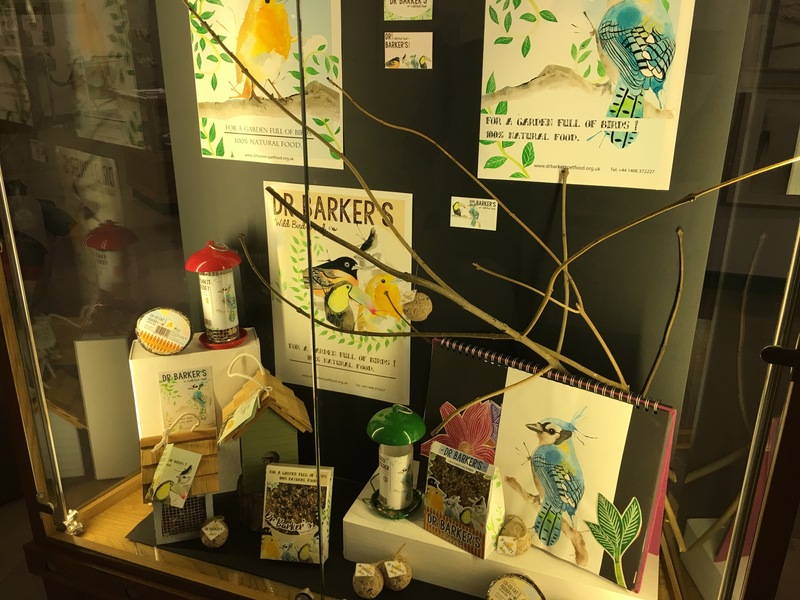 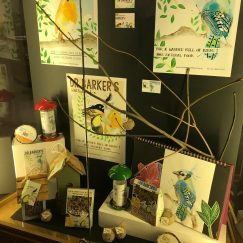 We are delighted by the high quality of artwork on display and hope that we may attract many visitors coming to the Gallery to appreciate this amazing artwork to be seen in many schools across the Fylde area. 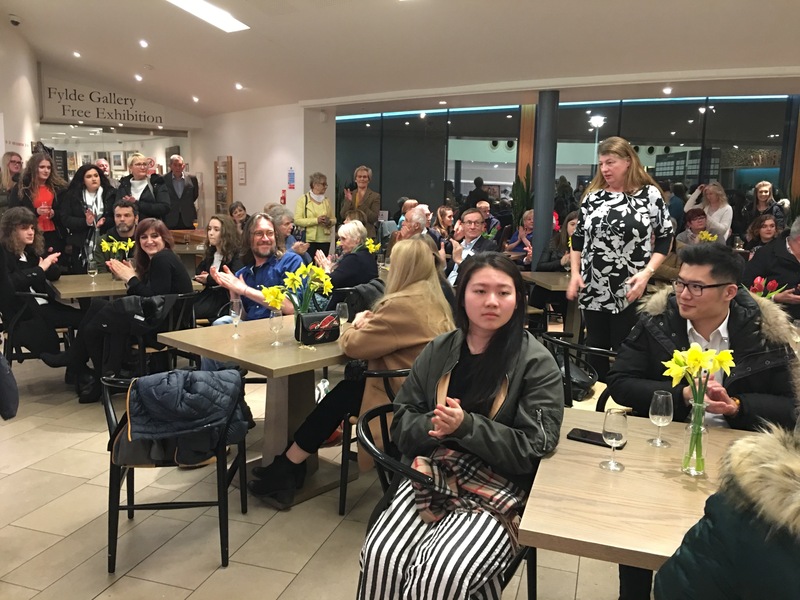 Our special thanks too to Kate Cartmell, Team Leader and her Young Arts team for another very successful Drawn From Youth event.